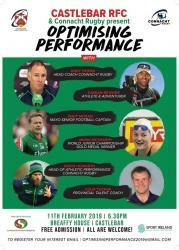 Castlebar Rugby Football Club, in association with Connacht Rugby and Mayo Sports Partnership are delighted to host a seminar entitled “Optimising Performance” The event is free to all, and starts at 18.30 on Monday Feb 11th in Breaffy House Hotel, Castlebar. The event contains a stellar line-up of speakers, and should help any coach or athlete who wants to understand how top performers optimise their performance on a consistent basis. 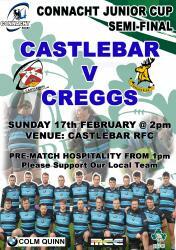 Andy Friend will give the ov..
CASTLEBAR BRING MONIVEA’S UNBEATEN RUN TO AN END IN J1A RUGBY LEAGUEWith the pitch being marked out at the crack of dawn on Sunday morning by the Director of Facilities, Mr. Jim Moore, the perfect scene was set for the sunny afternoon meeting of J1A table toppers Monivea visit to Castlebar in what was forecasted by many to be a competitive and tight affair. 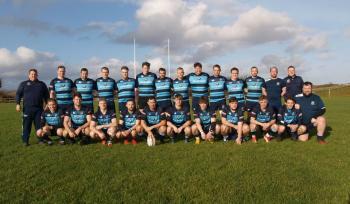 A large home crowd descended on Cloondeash and it was the home team who started the game with the momentum after Monivea were penalise..
CASTLEBAR SECURE THE BONUS POINT WIN Castlebar senior rugby team moved up to fourth position in the J1 League by beating Sligo at home on Sunday afternoon. The game started in a positive manner for the home side with Damien Togher putting the ball between the posts in the first 5 minutes following a penalty giving Castlebar an early 3 - nil advantage. It was clear from the kick off that Castlebar were playing the more positive rugby with Gavin Sullivan and Captain Mark Staunton making some ..
WESTPORT AND CASTLEBAR LOCAL DERBY A CLOSE AFFAIRCastlebar's Senior Rugby Team visited Westport on Saturday evening to play their third-round game in the J1A league under lights. 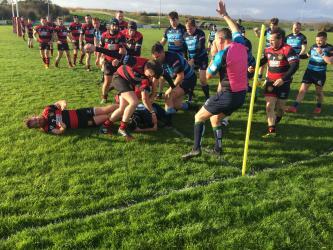 Westport RFC were celebrating the official opening of their new floodlights and so had a substantial home crowd in attendance. Westport kicked off into the Castlebar 22 and put the visitors under pressure early in the game. 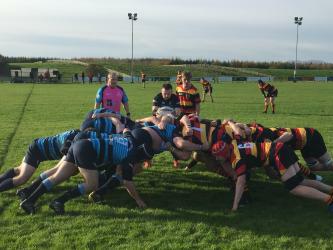 They were rewarded courtesy of a Castlebar knock-on and chose to scrum the ball and went on t..
Castlebar Senior Rugby team hosted Creggs in Cloondeash on Saturday evening in their second game of the Junior 1A league campaign. The game was played in ideal dry conditions and at a fast pace with both teams playing open and entertaining rugby. Creggs were first to attack and despite getting inside Castlebar's 22, the Castlebar defence held them at bay with some excellent clearances from Daniel Plaster playing at Number 10. Early in the first half Castlebar's captain Mark Staunton brok..
Castlebar Senior Rugby team kicked off the new season hosting Ballinasloe at Cloondeash on Saturday last in the first Round of the Cawley Cup competition. 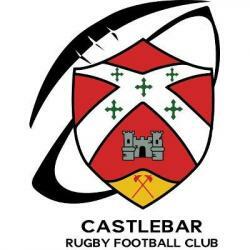 The visitors settled quickly and were awarded a scrum inside Castlebar 22 and after a quick pass to their fly Half, Andrew Mannion spotted a gap in Castlebar's defensive line and ran in for a try which was converted to give the visitors an early 7-nil advantage. 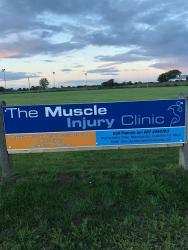 Ballinasloe were then awarded a penalty which Niall Staunton scored to bring t..
Castlebar Rugby Club would like to thank the Muscle Injury Clinic for their continued sponsorship. 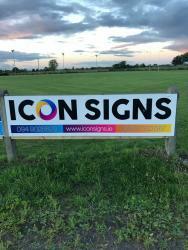 We are delighted to announce that since the start of the year several of our club members have been involved in contacting local businesses about updating the advertising signs surrounding our pitches.With the majority of them up at this stage, we've decided to feature one sign per week on this page every Wednesday evening!First up is Icon Signs, we would like to thank them for supporting the club and supplying all the signs we will be featuring on this page! Just a quick reminder that the Club's annual AGM is on tonight in the clubhouse, 7:30pm!